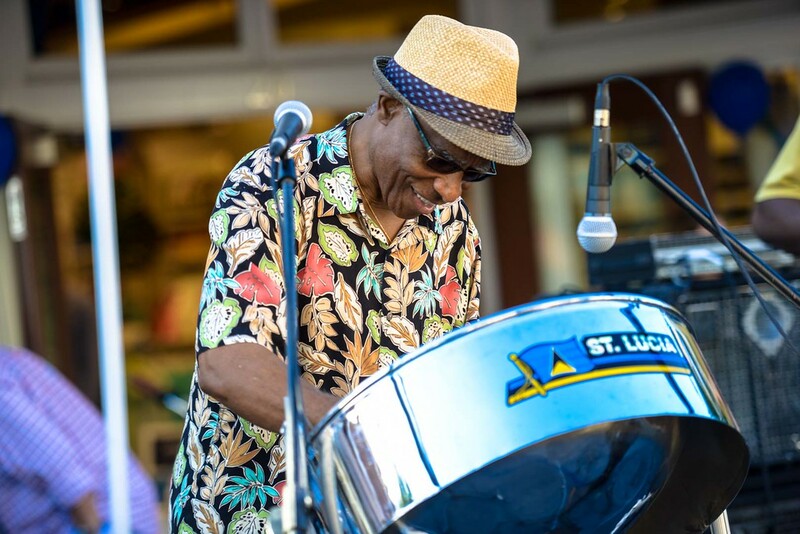 You'll feel the sand between your toes as you enjoy the authentic Caribbean calypso steel drum music of Harry Best and Shabang, the premier Northern California, San Francisco Bay Area steel drum band. Their engaging melodies and lyrics set to the infectious rhythms of Calypso, Reggae, Zouk, and Soca, and highlighted with the indigenous sound of steel drums or steelpans, will take you on a virtual Caribbean vacation. Based in the San Francisco Bay Area, these steel pan players have been the darlings of the corporate party scene in Northern California, Tahoe and Reno for more than a decade. Read More..
Harry Best/Shabang-Sam's Chowder House, HMB, CA. 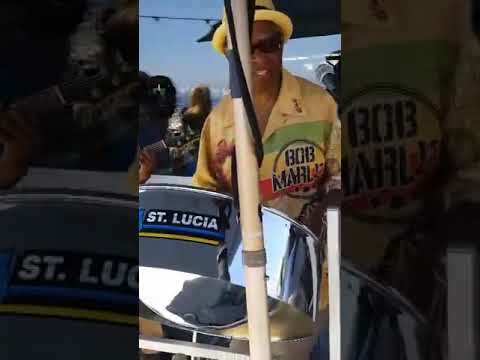 Harry Best/Shabang appear regularly throughout the summer, on the patio at Sam's Chowder House in Half Moon Bay, CA. .
Harry Best/Shabang Steel Drum Band.